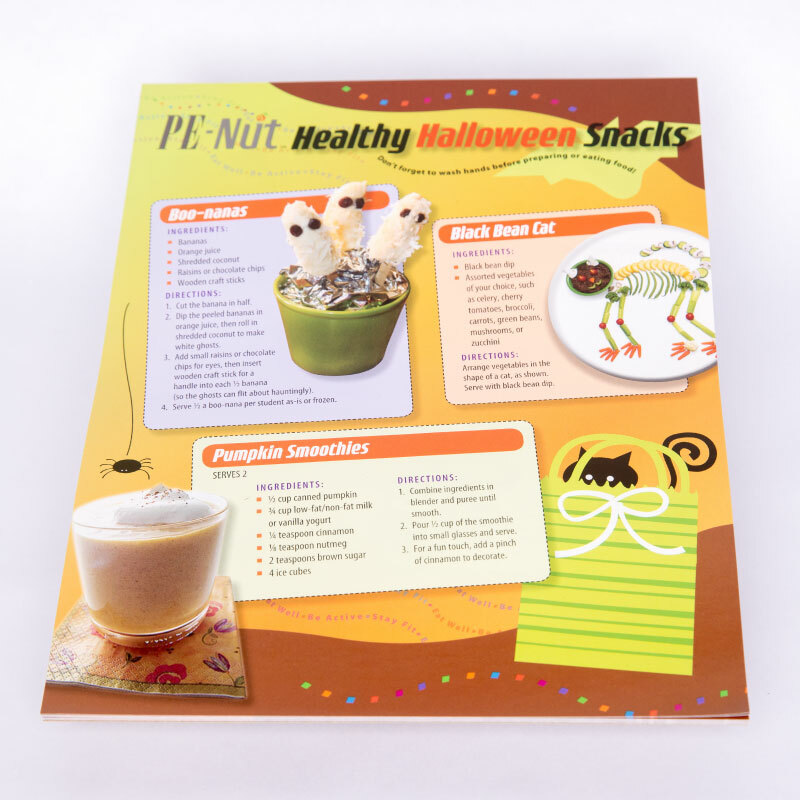 This handout — which can be sent home to parents — offers ideas to help parents create healthy Halloween snacks. Ever try Boo-nanas? Pumpkin Faces? Spooky Eyeballs? These snack ideas and more can also be used for healthy classroom Halloween parties. Available in tear pads of 30.